As we've lamented on Austen in August before, when it comes to Jane Austen retellings, completions and sequels, you're sometimes hard-pressed to find one that's not about P&P. Sure, there are the occasional Persuasions, maybe an Emma or two. But for the most part, it's Darcy & Lizzy as far as the eye can see. I mean, it's for good reason -- we do love them, and they are worthy of that love. But if the general dearth of JAFF for the main novels is an accepted fact, then it's doubly — triply — so for the "minor" writings, the juvenalia, and those works left incomplete at the time of Austen's death. 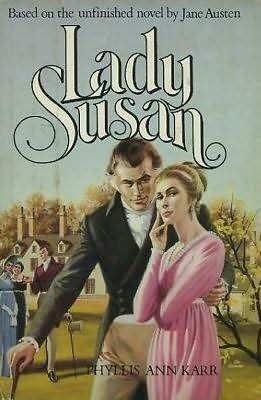 Which means, when it comes to this year's read-along pick, Lady Susan, there's not a lot on offer. But there is some, and that's what we're taking a look at today! 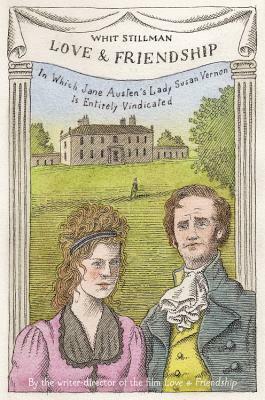 Jane Austen's novella Lady Susan was written during the same period as another novella called Elinor and Marianne—which was later revised and expanded to become Sense and Sensibility. Unfortunately for readers, Lady Susan did not enjoy the same treatment by its author and was left abandoned and forgotten by all but the most diligent Austen scholars. Until now. 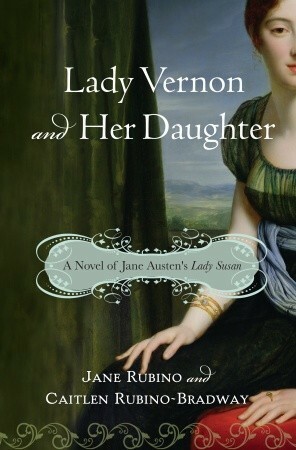 In Lady Vernon and Her Daughter, Jane Rubino and Caitlen Rubino-Bradway have taken Austen's original novella and transformed it into a vivid and richly developed novel of love lost and found—and the complex relationships between women, men, and money in Regency England. Lady Vernon and her daughter, Frederica, are left penniless and without a home after the death of Sir Frederick Vernon, Susan's husband. Frederick's brother and heir, Charles Vernon, like so many others of his time, has forgotten his promises to look after the women, and despite their fervent hopes to the contrary, does nothing to financially support Lady Vernon and Frederica. When the ladies, left without another option, bravely arrive at Charles's home to confront him about his treatment of his family, they are faced with Charles's indifference, his wife Catherine's distrustful animosity, and a flood of rumors that threaten to undo them all. Will Lady Vernon and Frederica find love and happiness—and financial security—or will their hopes be dashed with their lost fortune? With wit and warmth reminiscent of Austen's greatest works, Lady Vernon and Her Daughter brings to vivid life a time and place where a woman's security is at the mercy of an entail, where love is hindered by misunderstanding, where marriage can never be entirely isolated from money, yet where romance somehow carries the day. There's little enough info out there on this 1980 completion, though from what I can tell, it holds the distinction of being the first. And it does have a rockin' old school 80s cover to go with it, so. 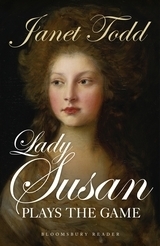 . .
A must-read for any devotee of Jane Austen, Janet Todd’s bodice-ripping reimagining of Austen’s epistolary novel Lady Susan will capture your literary imagination and get your heart racing. Austen’s only anti-heroine, Lady Susan, is a beautiful, charming widow who has found herself, after the death of her husband, in a position of financial instability and saddled with an unmarried, clumsy and over-sensitive daughter. Faced with the unpalatable prospect of having to spend her widowed life in the countryside, Lady Susan embarks on a serious of manipulative games to ensure she can stay in town with her first passion — the card tables. Scandal inevitably ensues as she negotiates the politics of her late husband’s family, the identity of a mysterious benefactor and a passionate affair with a married man. Accurate and true to Jane Austen’s style, as befits Todd’s position as a leading Austen scholar, this second coming of Lady Susan is as shocking, manipulative and hilarious as when Jane Austen first imagined her. The most recent of the lot, Whit Stillman's novelization, was released to coincide with his film version of the same name — and hey! would you look at that, we're doing a watch & tweet -along of that very same movie this year! If the movie wins me over, as I think it will, then this book will definitely end up on my Austen-to-read shelf. Impossibly beautiful, disarmingly witty, and completely self-absorbed: Meet Lady Susan Vernon, both the heart and the thorn of Love & Friendship. Recently widowed with a daughter who's coming of age as quickly as their funds are dwindling, Lady Susan makes it her mission to find them wealthy husbands--and fast. But when her attempts to secure their futures result only in the wrath of a prominent conquest's wife and the title of 'most accomplished coquette in England', Lady Susan must rethink her strategy. Unannounced, she arrives at her brother-in-law's country estate. Here she intends to take refuge - in no less than luxury, of course - from the colorful rumors trailing her, while finding another avenue to 'I do'. Before the scandalizing gossip can run its course, though, romantic triangles ensue. So, my dutiful Janeites— have you read any of these? Come across any others I should know about? Tell us all about it in the comments! Two are wholly new to me and I haven't read any, sadly. I do have Whitman's so that will be an eventual read. The 2 in the middle are new to me. I have the first and have the audio version of Walt Whitman's retelling. GIVEAWAY: Hand Lettered & Watercolored Bookmarks! Lady Susan Read Along: Discussion Questions! Future Jane: a Trio of upcoming Janeish books! Read Along Invite: Lady Susan by Jane Austen! 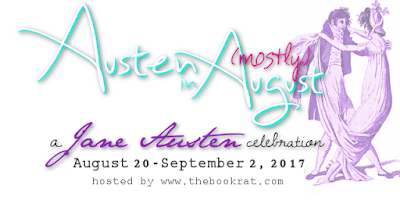 AUSTEN IN AUGUST 2017 Main Page! Jinx! Berserker! Roar! Yes Please!